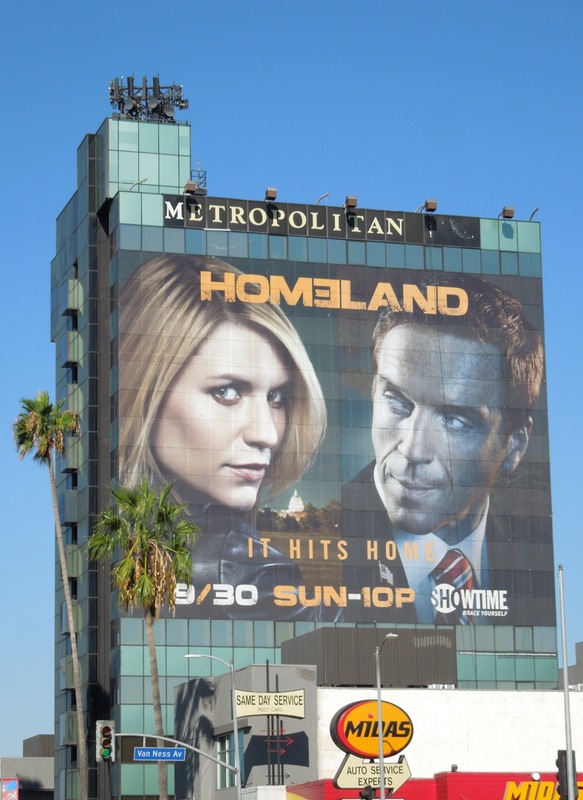 After a suspenseful first season and a doozy of a cliffhanger, Homeland is back for a second tension-filled season on Showtime. 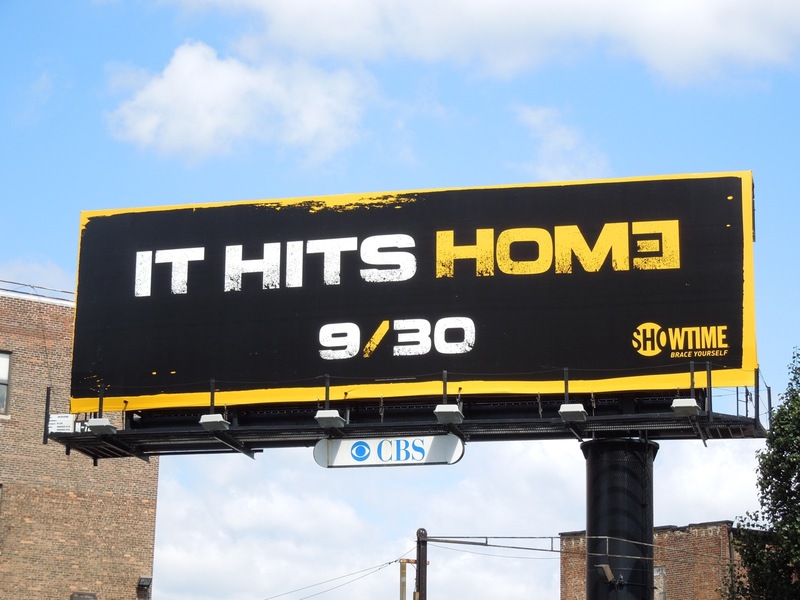 And apparently for its sophomore season 'It hits home', which all sounds rather ominous and worrying. 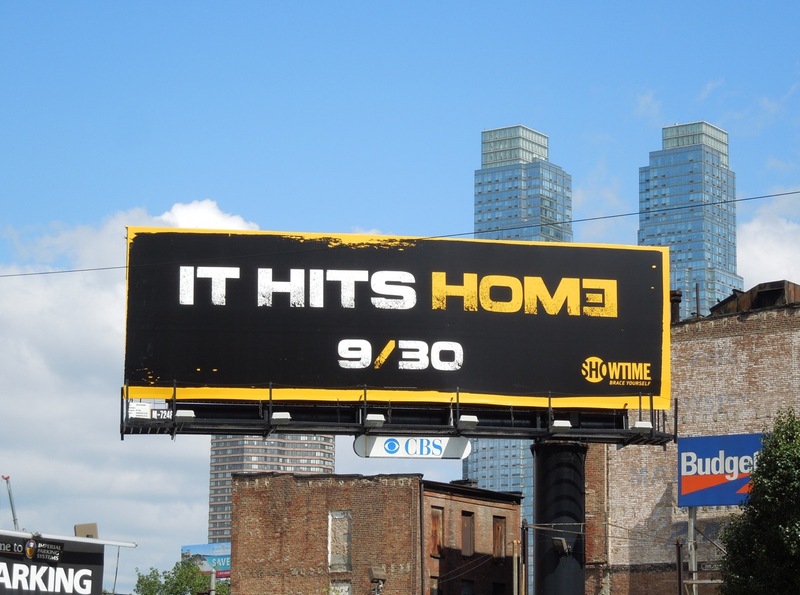 Daily Billboard was absolutely (although fortunately not literally) blown away by this Showtime terrorism drama, so imagine our delight upon seeing these teasers and giant-sized ads for the returning series. 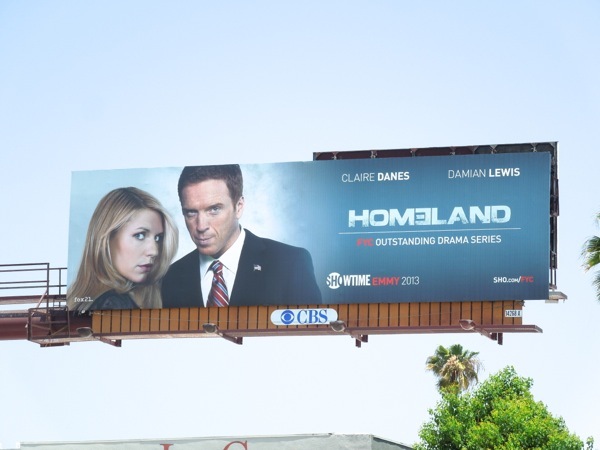 Especially noteworthy is the decision to give returned Marine 'Sergeant Brody' (Damian Lewis) a darker complexion (even if he is traveling in a town car at night for his political campaigning) now that we know some of what happened to him as a prisoner of war in the Middle East, whilst Claire Danes bipolar C.I.A. 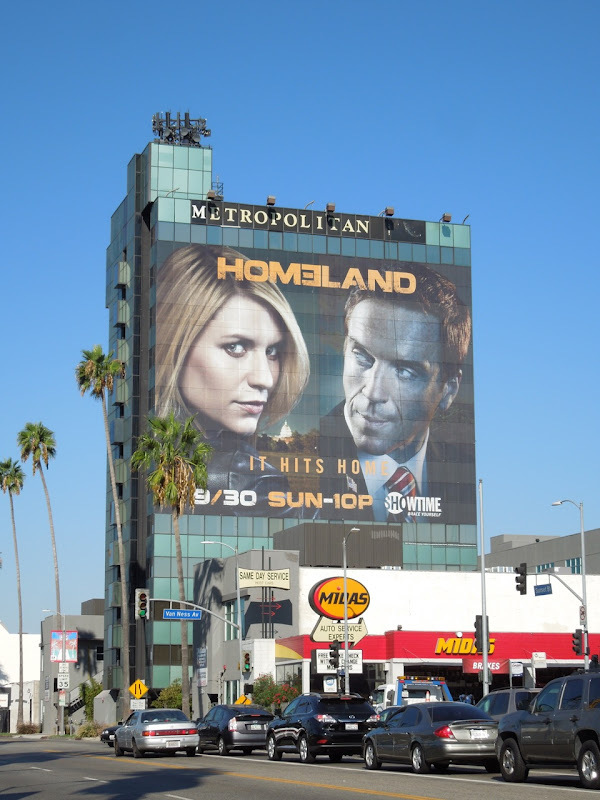 agent 'Carrie Mathison' is shown in more light. 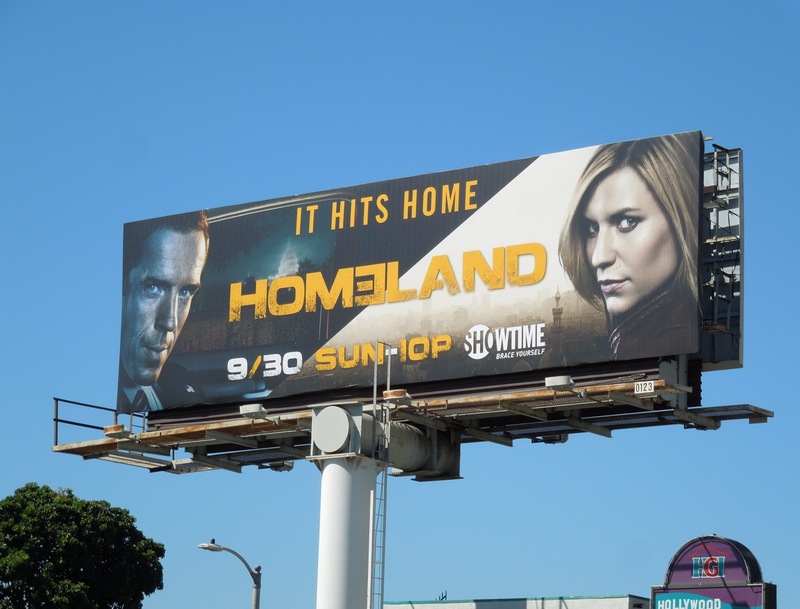 It hints at his true allegiance, although we also know the truth is more blurry than that. 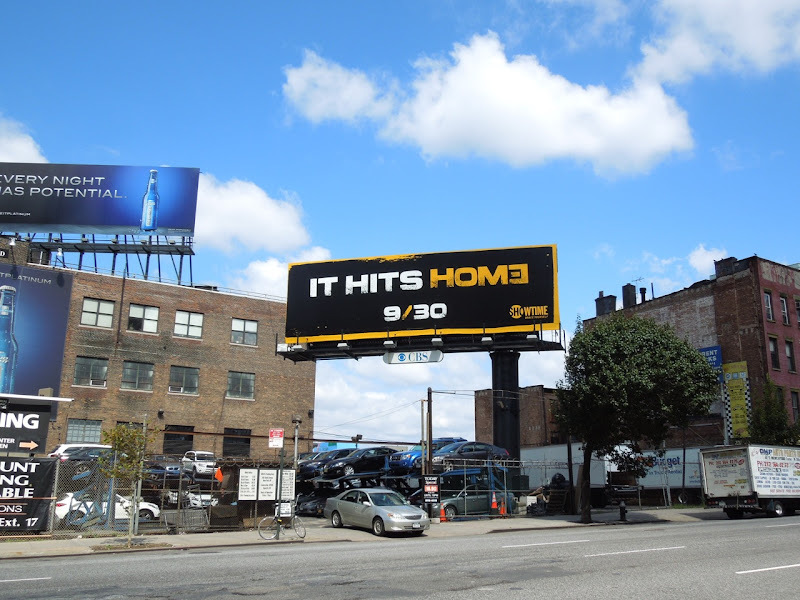 Yes, these new season billboards are all very intriguing and fill us with a sense of anticipation. 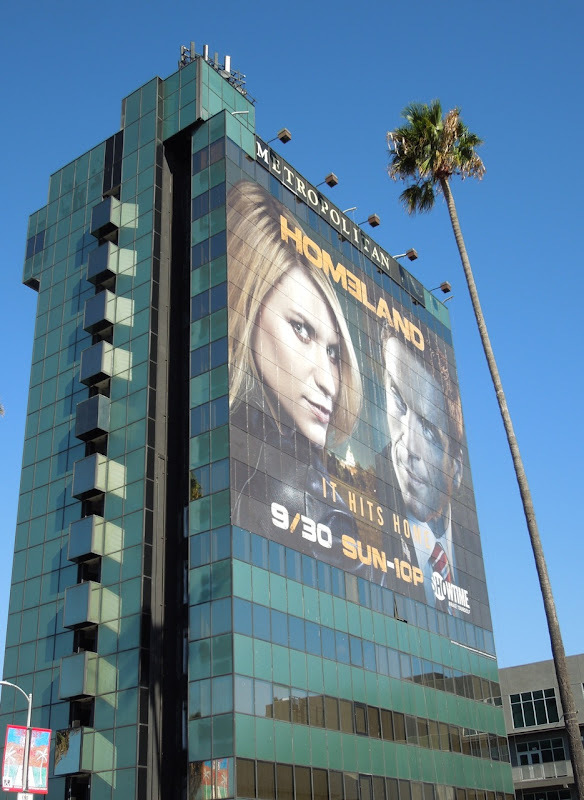 The super-sized creative was spied on the side of the Hollywood Metropolitan Hotel on September 15, whilst the standard landscape creative was snapped further west along Sunset Boulevard. 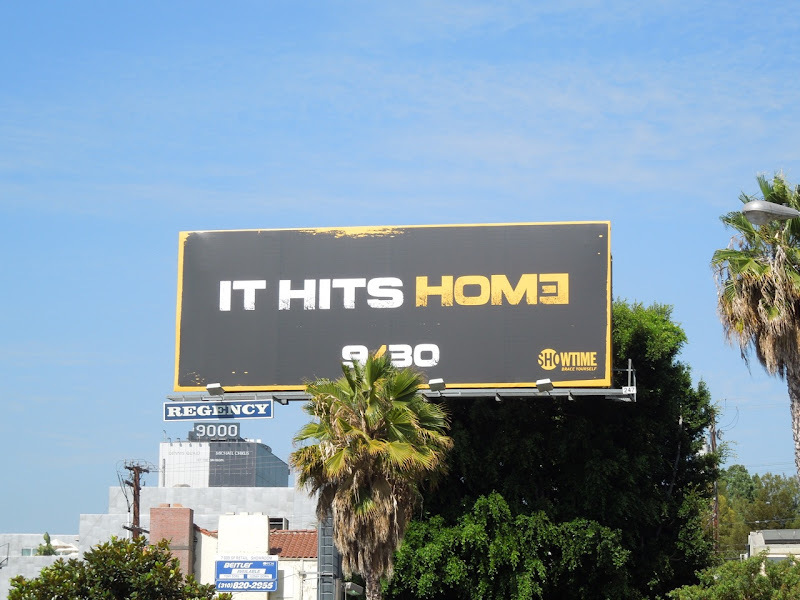 The teaser 'It hits home' billboards were spotted along the Sunset Strip in West Hollywood on August 21, whilst the other billboard was photographed along 10th Avenue in New York City on August 28, 2012. 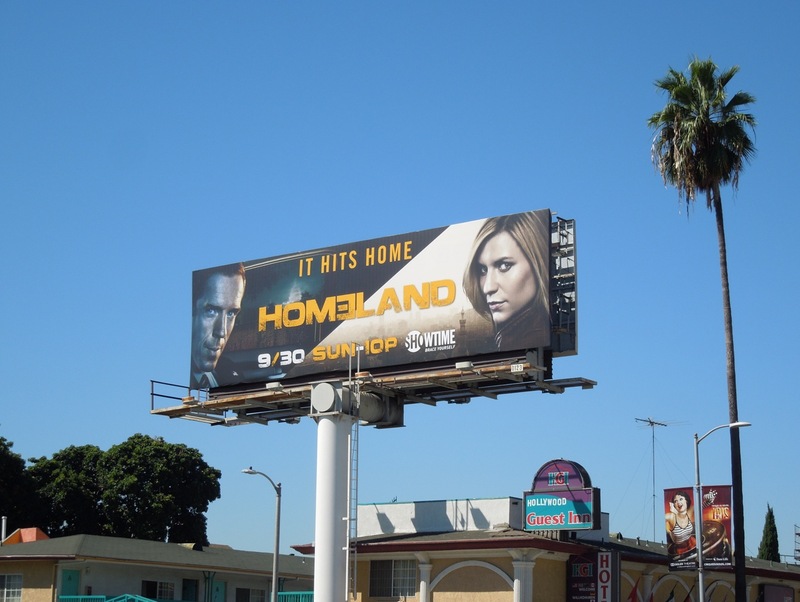 If you're a fan of the show, be sure to check out the giant-sized and teaser billboards for Homeland season one here at Daily Billboard. 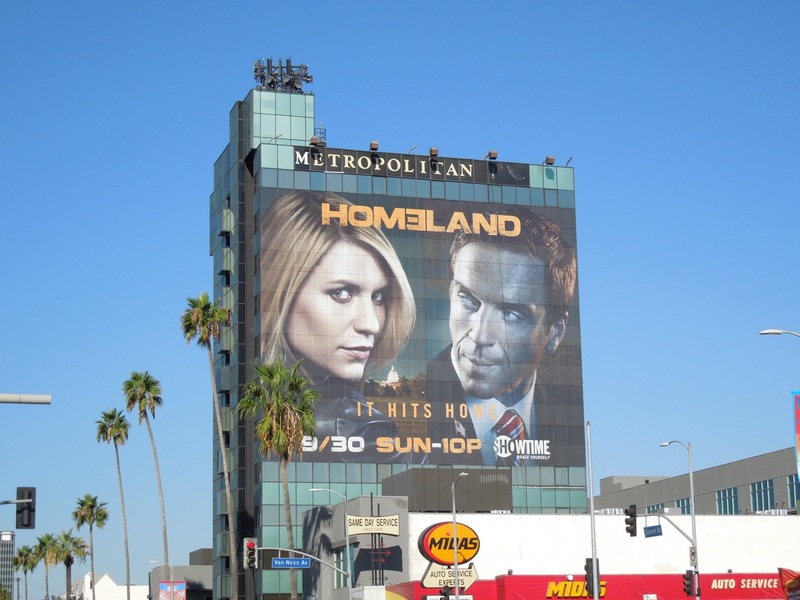 UPDATED: If you liked these season two billboards then you'll love this Emmy Consideration billboard for Homeland. 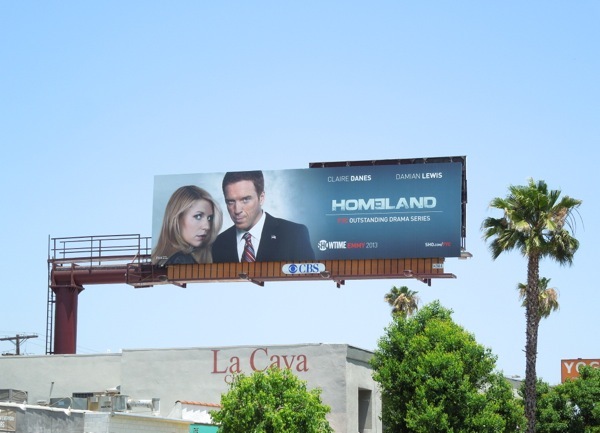 This billboard, which is part of Showtime's Emmy Awards campaign, was spied along Ventura Boulevard in Studio City on June 3, 2013.